Pine Island is an Outer Banks beach community in Corolla, North Carolina. It’s known for having some of the most extravagant vacation rental homes on the OBX, and offers fantastic views of both the Atlantic Ocean and the Currituck Sound. 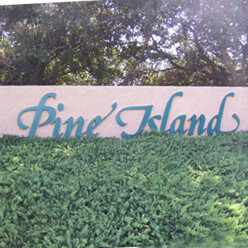 Most homes in Pine Island range from 4-9 bedrooms. Visitors who stay in Pine Island will tell you they love that is so sparsely populated, and this is due to the fact that it sits on one of the narrower parts of the Outer Banks. Pine Island borders the Audubon Sanctuary at Pine Island, which features over five-thousand acres of protected marshes and wildlife areas. On the ocean side, visitors enjoy more than three miles of wide, unspoiled beaches where they can relax, swim, fish and more.